1. 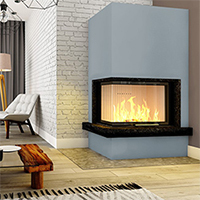 Modern fireplace inserts are made of materials of the highest quality and are better equipped. To fully utilize the advantages of a new fireplace insert you should carefully read and memorize the rules in the handling and use manual. Such manual is attached to every fireplace insert. 2. To light up a cold fireplace easily you should use small logs and natural kindling. 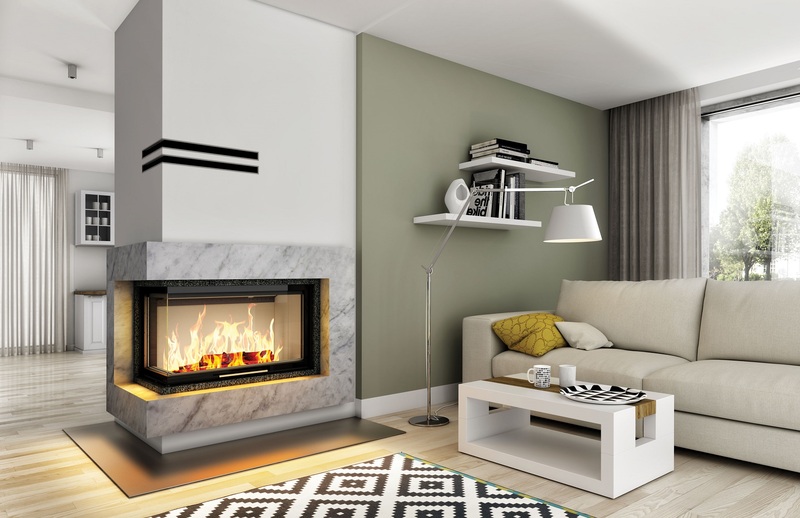 In transitional seasons – spring and autumn – it might be necessary to slightly open the fireplace door to create more draft. Lighting up in such way should always proceed only in the presence of adults. 3. During transitional seasons – autumn and spring – when the weather is unfavorable, it may be required to clean the insert’s ashpan and dusting off the ash of off the furnace’s bottom more frequently. 5. To properly season the wood you should cut the freshly bought batch into logs and lay them in piles on wooden pallets. Such piles should be covered with foil to prevent moistening. The storage space should provide free air flow. After 18 to 24 months the wood should be at 15% humidity level and can combust perfectly. Covered woodshed is a great space for longer storage. Logs should be replaced regularly to assure a constant supply of seasoned wood. 6. 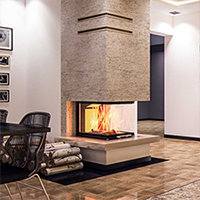 Water jacket fireplace inserts, due to the constant heat absorption through water in the central heating, demand dry, seasoned deciduous wood of the best quality. If a wood with poor calorific value or of the non-recommended species is chosen, the advantages of the insert cannot be utilized in full and in extreme cases it can lead to permanent damage and loss of warranty. 7. 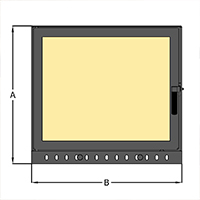 A paint self-hardening process will commence during burning In newly bought and installed steel-chamotte insert. First burning can be performed after 14 days from the day of insert’s installation (see point 14). When it is allowed to utilize the amount of wood described in the manual, the burning process should last at least a couple of hours a day. Because paint hardening might result in unpleasant odor, the space where the fireplace is located should be ventilated constantly. People, especially children, elderly and those affected by allergies should avoid extended stay in such space. 8. In cases of too slow or too fast burning the process can be regulated and corrected by a proper setting of the fumes damper installed in the insert’s flue. 9. 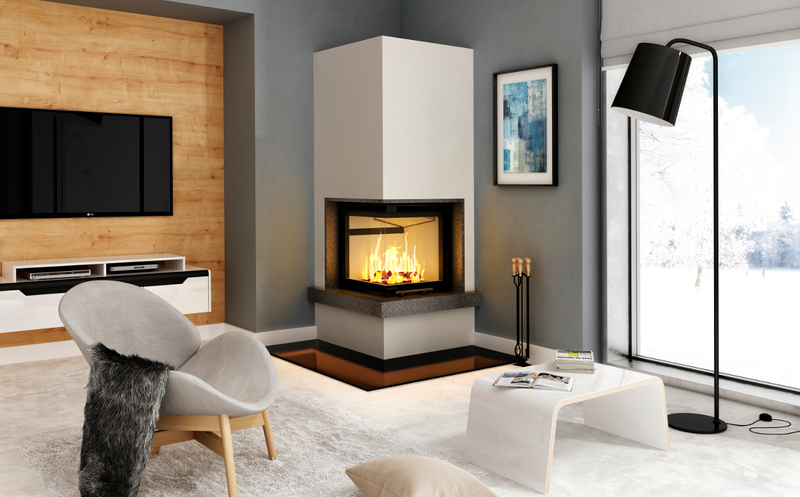 Constantly improved construction of fireplace inserts and the stable prices of wood make the fireplace with a modern insert one of the most economic heat sources in the house. 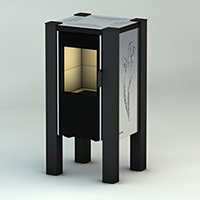 If we compare the fireplace with other heating solutions, inserts are one of the most lucrative systems on the market. Here are examples of heating costs. *approximate cost depends on many factors, ie. thermal efficiency of a given heater, calorific value of the fuel in a given delivery etc. 10. Fireplace inserts with water jacket are equipped with internal heat exchanger made of corrugated stainless steel coils. They possess more thermal efficiency and are reliable. 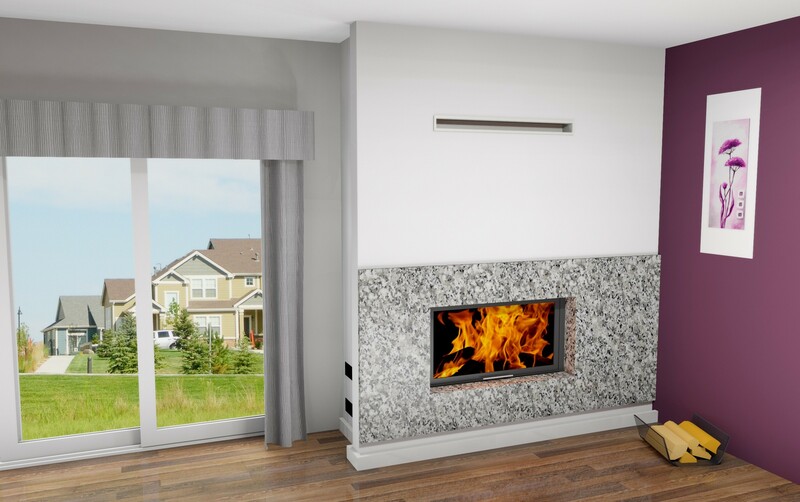 They are also much easier to install and connect with the central heating system than fireplace inserts connected with plate heat exchangers. 11. 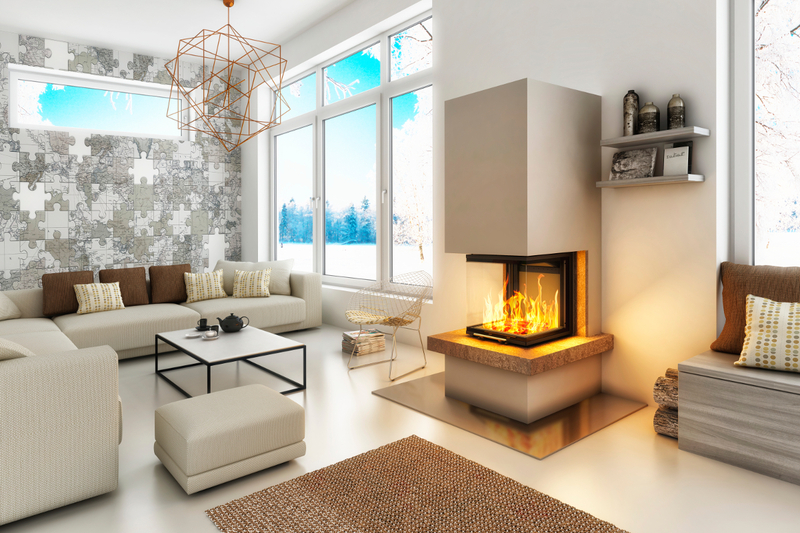 If you plan to heat your multi-story house with a fireplace it is worth to choose a model with a factory-installed heat jacket. Such jacket made by the producer of an insert will ensure that the whole system is tight. Equipping it with 4 hot air inlet connections allows for better heated air distribution to many rooms without any problems. 12. 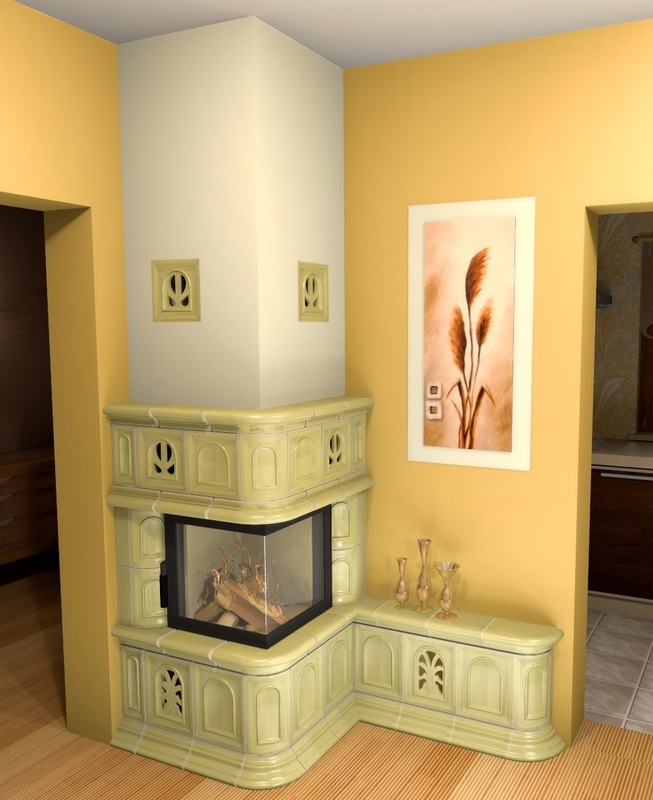 You should buy the fireplace insert from the trusted, local fireplace company. 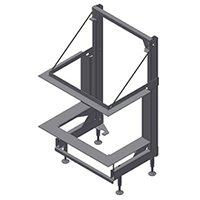 This ensures that your insert will be installed in accordance with all the rules and regulations and you will have a quick access to repairs and maintenance. Buying an insert through an e-store from a place hundreds of miles away may result in some problems in the future. 13. 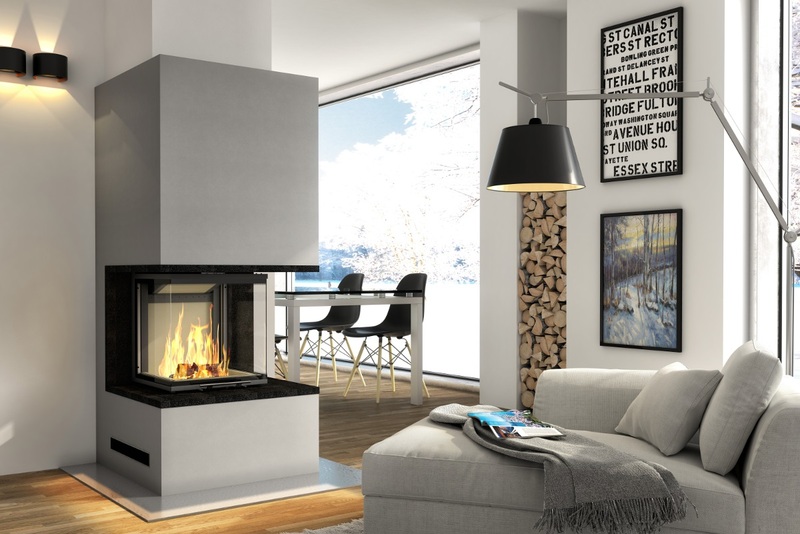 The diameter of the chimney should be at least equal to the diameter of the flue outlet connector pipe on the fireplace insert. 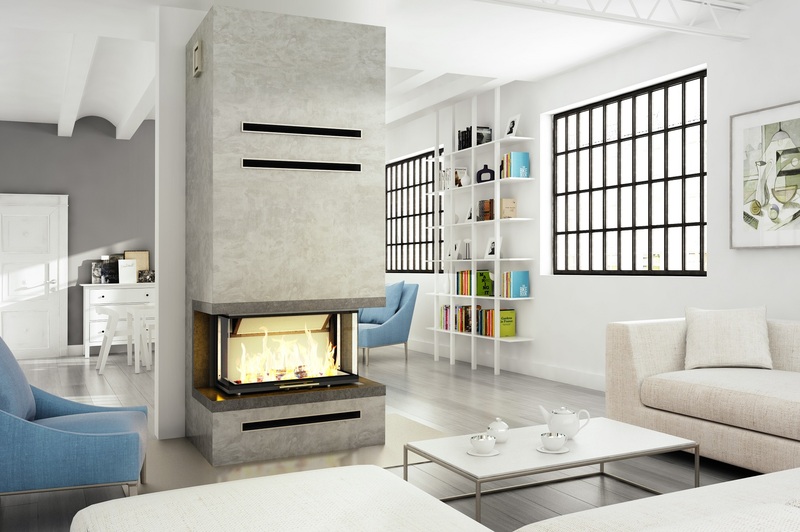 The chimney height and placement should be relative to the roof. The experienced chimney sweep can help in the proper selection of the chimney. 14. In a newly constructed fireplace a process of bonding adhesives and mortars used in construction takes place. Therefore, the first burning in the fireplace must be made after a period of 14 days from the day of installation. The room in which the fireplace is located must be heated at this time in a different manner to maintain the constant room temperature. After a period of 14 days first burnings need to be gentle, using small wood. After a few such delicate burnings you can gradually increase the intensity and power of burning, while maintaining quantities of wood specified in the manual. Paint hardening process described in point 7 will also take place at that time. 15. 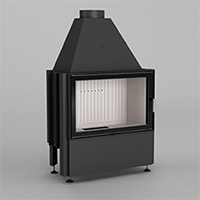 Large fireplace door, in particular the inserts with the corner door, require appropriately chosen chimney that ensures adequate draft, wood humidity and proper warm up of the fireplace – chimney system.